Welcome to my Favorite Things! Here, I will be sharing with you some of my favorite recipes, products and restaurants. I am kicking it off with some of my all-time favorite dinner recipes that I found on Pinterest and that I cook on a regular basis. I have to say that up until about three years ago, my favorite type of meal was one I didn’t have to cook. This meant a lot of going out to eat and spending more money than I should’ve on food. However, things changed when my daughter was born. I decided to get healthy and make a change in my lifestyle. Obesity and diabetes both run in my family and I was determined to give my daughter a healthy start from the beginning to reduce the chances of her having these problems. 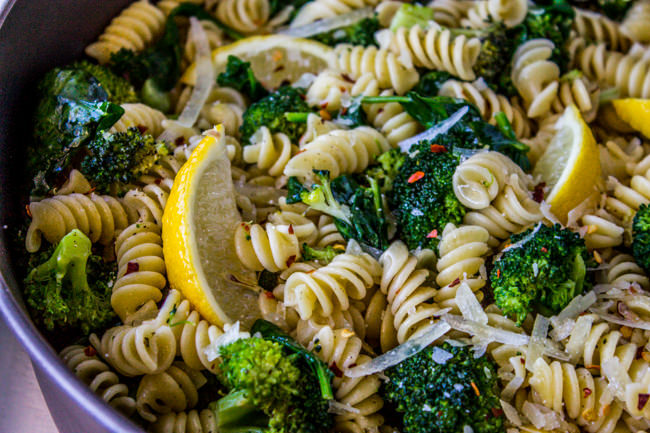 This super easy and healthy dish is packed with flavor! I also love her method of adding the broccoli to the boiling water at the end of cooking your pasta. Saves time and dishes. This recipe is definitely one of my family’s favorites. Find the recipe here. 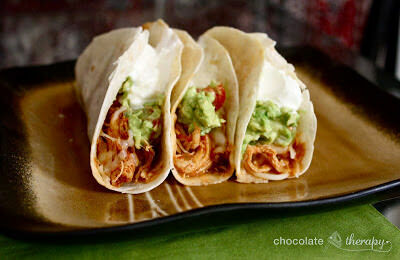 This might be the easiest recipe on the list and it makes the most delicious, moist chicken tacos! We top ours with some cheese, tomatoes, avocados and sour cream. Squeeze a little lime on them and your all set! Find the recipe here. 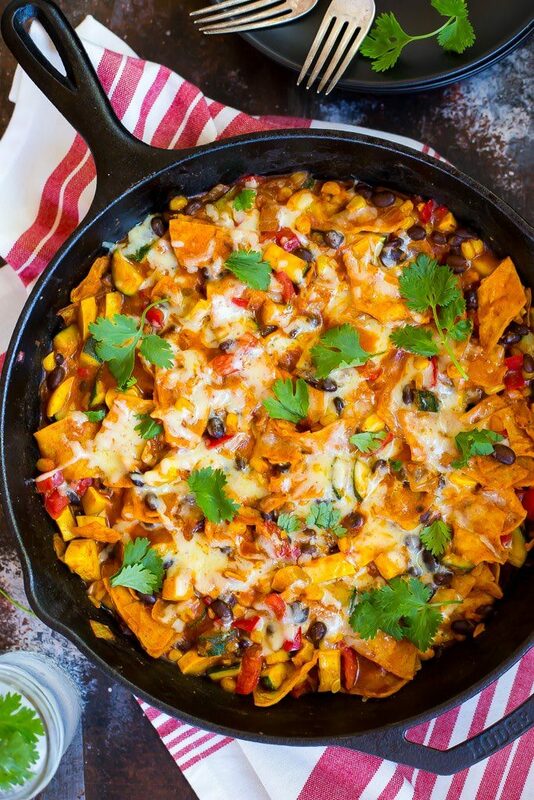 Another dish that uses only one pan. Those are the best! This is not only easy, but very healthy and packs in lots of veggies full of flavor. Find the recipe here. If you love teriyaki, then this dish is for you. This recipe has you create a sauce from scratch that is super easy and better than anything you would buy in the store. This is definitely in our rotation of dinner meals. Find the recipe here. I had a hard time when I first started cooking salmon. Most of the time, it would come out dry and dull. This is one of the first recipes that I had success with. 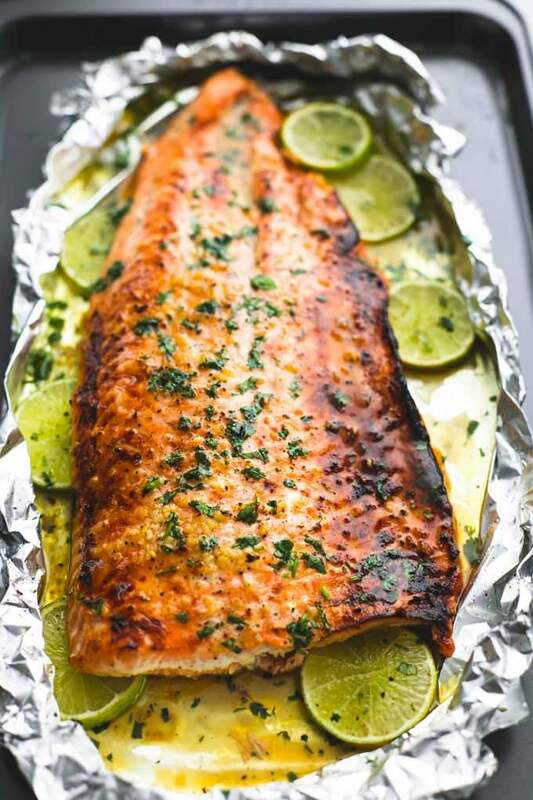 I use this recipe regularly now when cooking salmon and it comes out perfect every time. Find the recipe here. This is one of my favorites! If your a meat fan, you really won’t even notice that it’s missing. I come back to this one all the time. Find the recipe here. I may be a little biased since this is one of my own creations, but it’s definitely a family favorite. I have to admit, I’ve been making this almost every week lately. 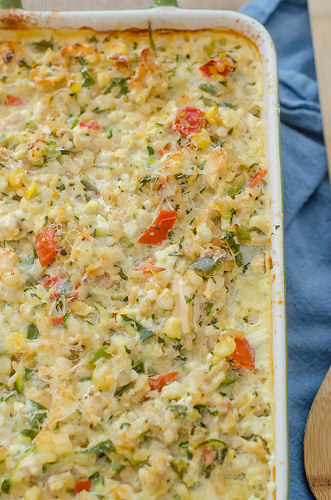 I really love the creamy pesto sauce and I also love orzo! Find the recipe here. I have to admit, I was very skeptical of this cauliflower trend. I really didn’t think it could replace things like rice or potatoes. Well, I’m glad I was wrong! 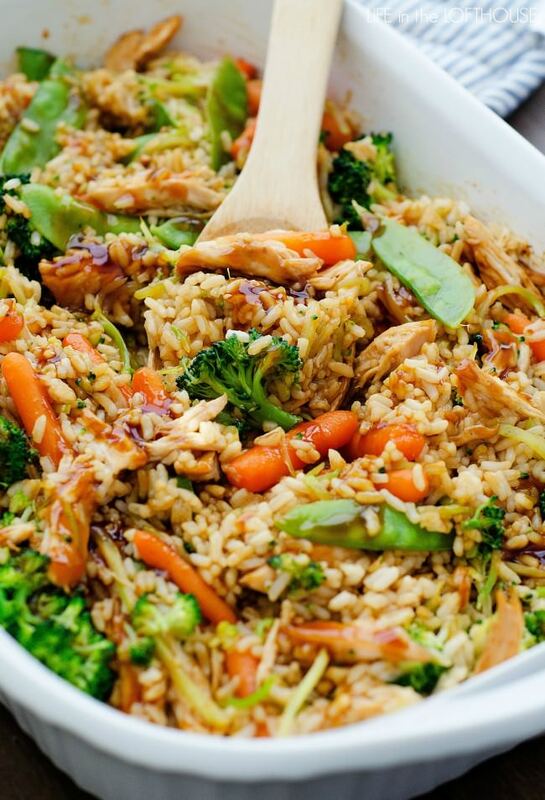 This dish tastes just like traditional fried rice with way less carbs. Find the recipe here. 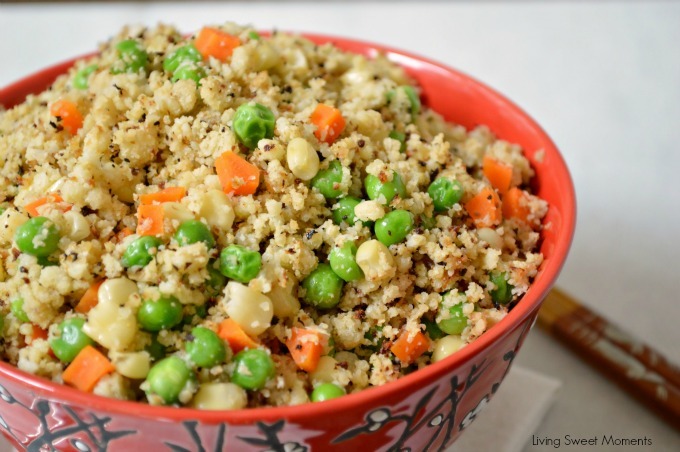 This is another dish that uses lots of veggies! I have a hard time getting anyone in my family to eat vegetables unless they are hidden well into a meal and this one does the trick. Find the recipe here. Another orzo dish! 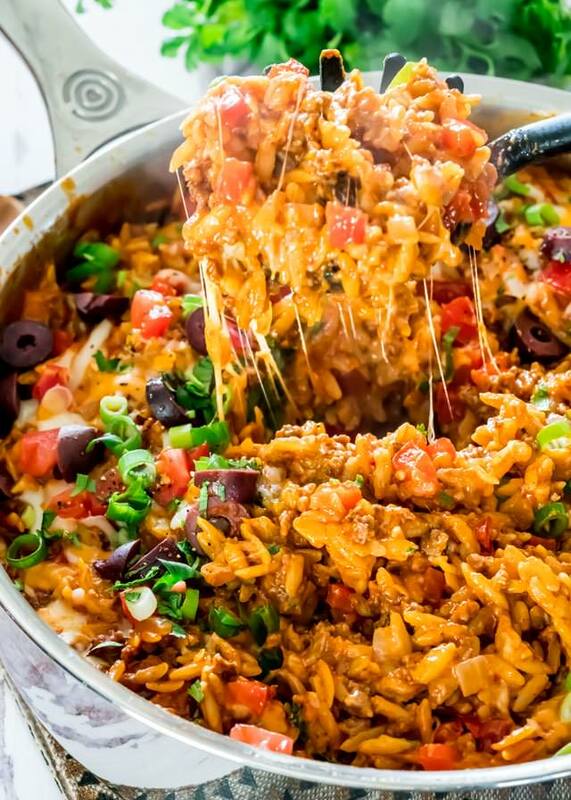 Like I said, I LOVE orzo and I also love Mexican-flavored dishes. This one combines both and it’s also really easy. Find the recipe here. That completes the list! I hope you enjoy these dishes as much as our family does. Where do you get your recipes from? What helps you plan meals for the week? 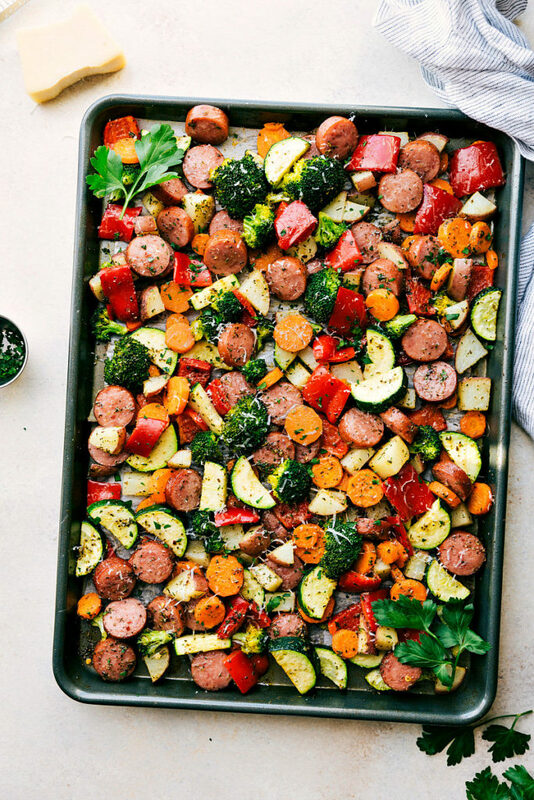 I love that so many of these are one-pan dinners! Can’t wait to try them out and see if my family enjoys them also. Thanks!